Number of rental units: 31 residential mobile homes – 24 mobile-homes comfort. Environment: 200m from the bus stop, 500m from the shops, 3km from the sea. Total area 2 semi-shaded hectares. 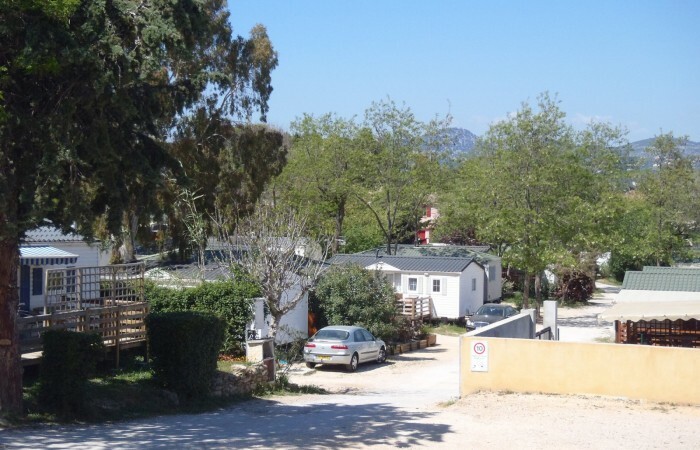 With pool and jacuzzi this particularly quiet 4-star campsite welcomes you for family holidays. 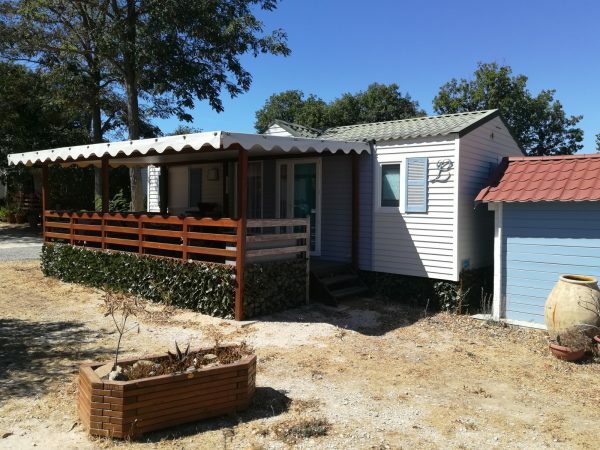 Luxurious air-conditioned mobile homes (30-32 m2) with TV, terrace (18m2) under pergola are offered. Outdoor pool – Jacuzzi (12 people). Children’s club every morning from 4 years old from 10:00 to 12:00 from Monday to Friday. Disabled facilities: Two mobile homes adapted for people with reduced mobility. Services : Beds equipped with disposable sheets, planchas rental, snack bar, night surveillance, mail point, tourist documentation. Device for mediating consumer disputes. In accordance with the articles of the Consumer Code L611-1 et seq. And R612-1 et seq., It is stipulated that for any dispute of a contractual nature concerning the execution of the contract of sale and / or the provision of services which could not have been To be resolved in the context of a complaint previously lodged with our customer service, the Consumer will be able to make free use of the mediation. He will contact the National Association of Mediators (ANM) either by mail by writing to 62 rue Tiquetonne 75002 PARIS or by e-mail by filling in the online referral form at the following address: www.anm-conso.com.